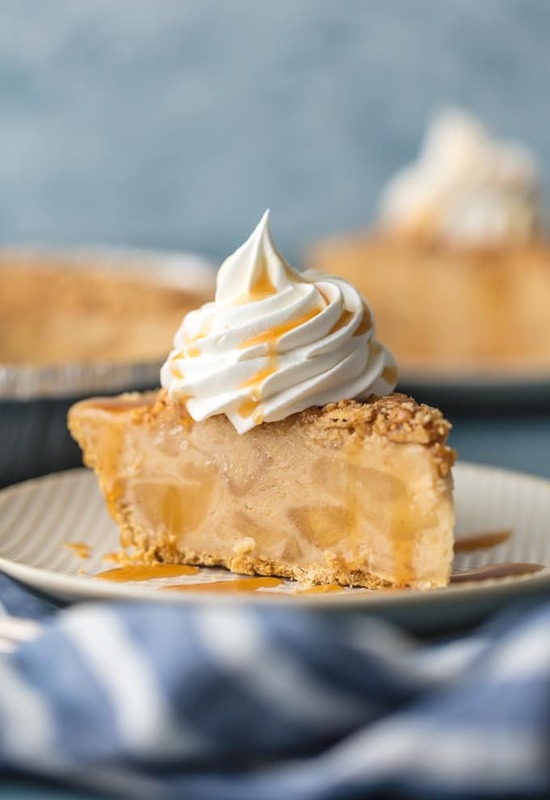 CARAMEL APPLE FREEZER PIE is the ultimate easy frozen dessert! 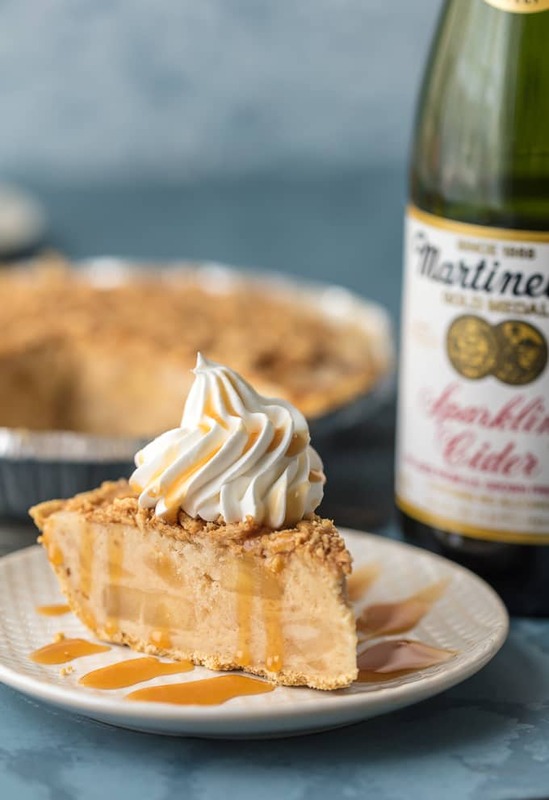 Made with caramel ice cream, Martinelli’s Sparkling Cider, and apple pie filling; it’s sure to please and whipped up in minutes. YUM! I love an easy frozen dessert for Summer. There’s nothing better on a hot day than a cold sweet treat to top off your afternoon! 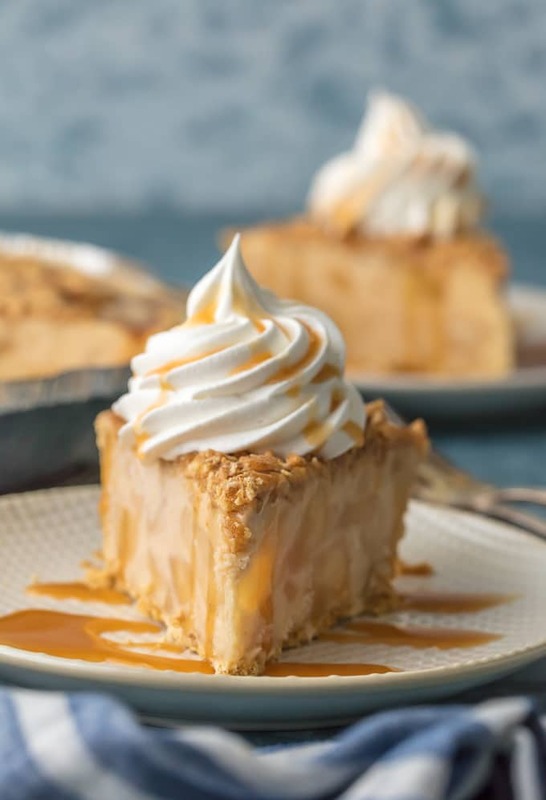 This Caramel Apple Freezer Pie is my absolute favorite. 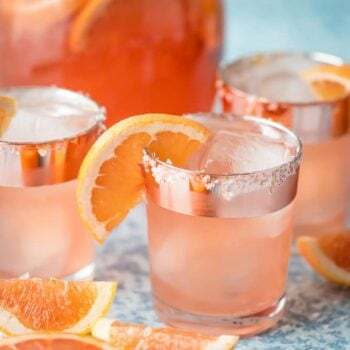 It’s super simple, utterly delicious, and so refreshing! 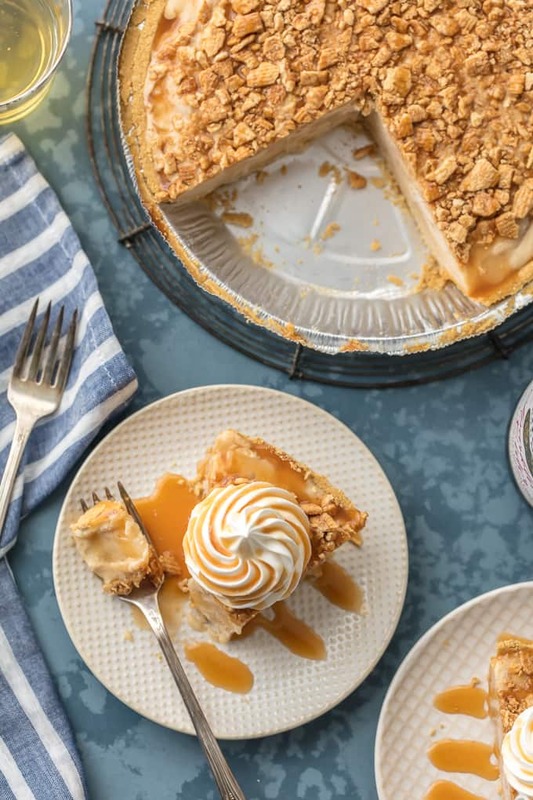 You won’t believe how easy it is to make this impressive and fun pie, and you can let that be your little secret. Everyone can enjoy the pie, but only you need to know that it was thrown together in minutes. It’s the ultimate pie as the weather gets hotter! 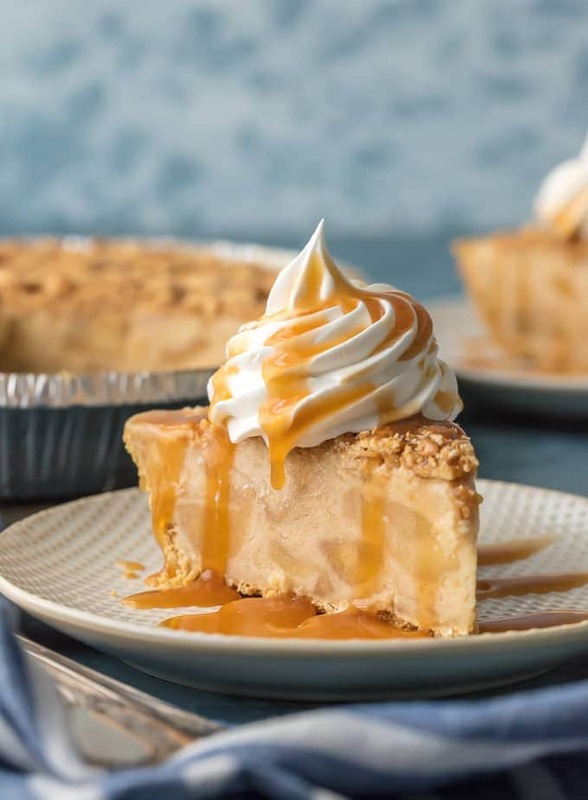 This Caramel Apple Freezer Pie has a little sparkle because its made with Martinelli’s Sparkling Cider! I love the fresh apple taste that it brings to the party, made with 100% apple juice from US grown fresh apples! 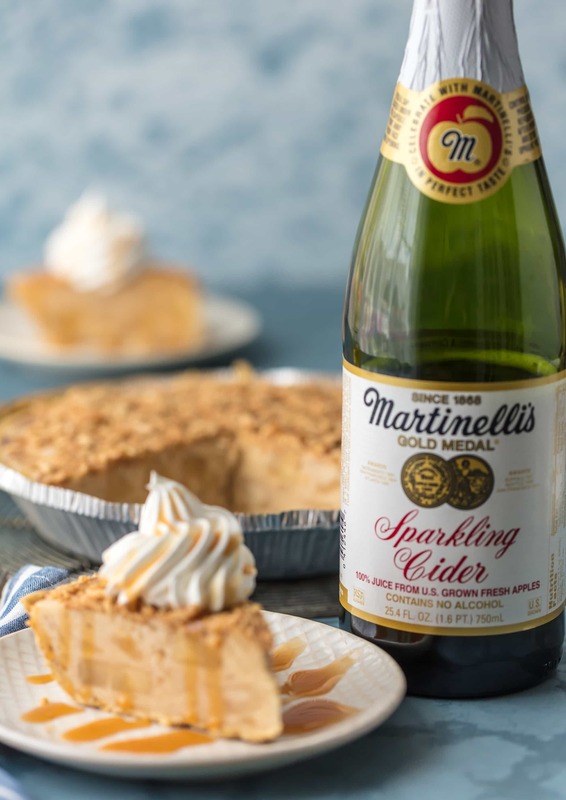 Martinelli’s Sparkling Cider adds a bit of zip and pizazz to this already fun freezer pie, and I just can’t get enough. It’s fun in drinks, but also lends itself beautifully to desserts like this freezer pie. I just love how the apple pie filling and caramel ice cream blends with Martinelli’s. The flavor combination is INCREDIBLE and tastes just like your favorite apple pie, but in ice cream form! 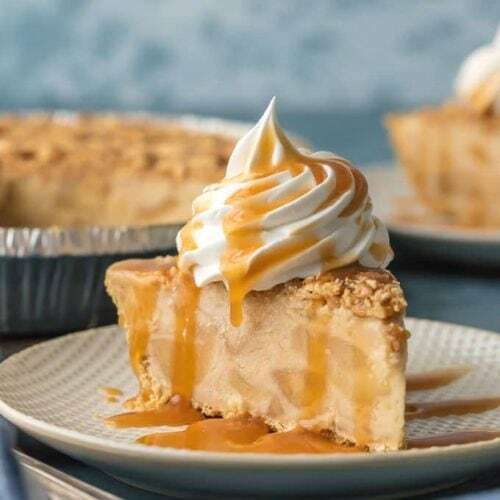 I just got an alert on my phone about a heat advisory, so I’m glad I have an entire pan of this Caramel Apple Freezer Pie to get me by. I guess I’ll have to make an extra one for Pat. With this, I’m just not willing to share! Be sure to check out Martinelli’s Cider and Juice blends and their store locator to find out where you can buy them. 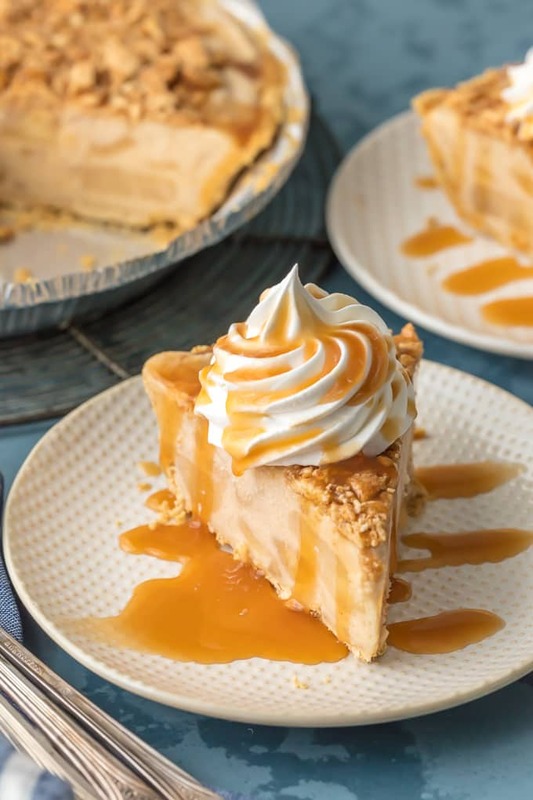 This Caramel Apple Freezer Pie wouldn’t be the same without it!! 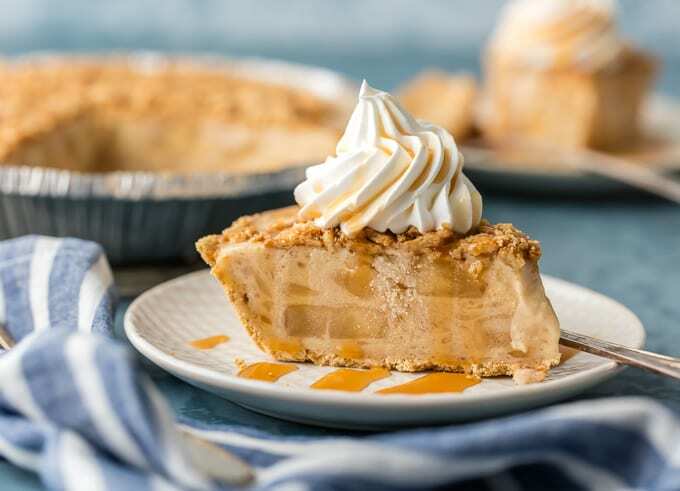 CARAMEL APPLE FREEZER PIE is the ultimate easy frozen dessert! 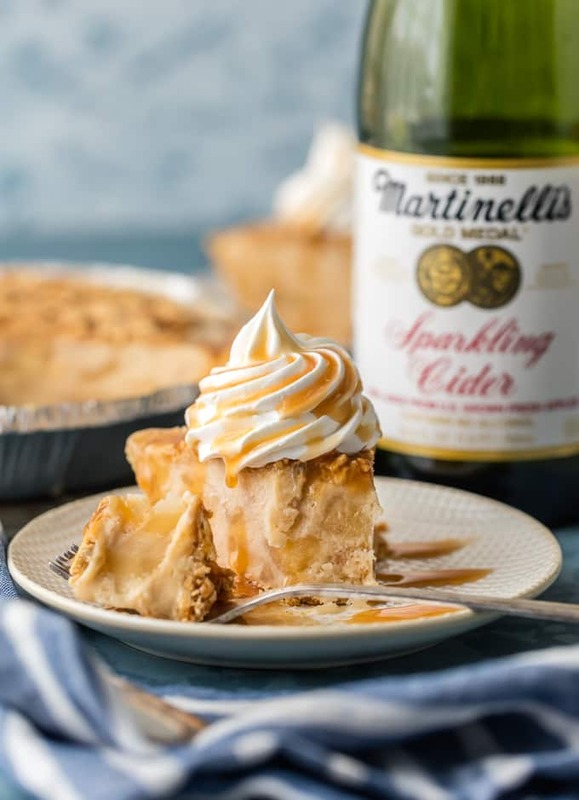 Made with caramel ice cream, Martinelli’s Sparkling Cider, and apple pie filling; it's sure to please and whipped up in minutes. YUM! 1 cup Martinelli's Sparkling Cider or Apple Juice either one would be delicious! In a blender, mix together the caramel ice cream and sparkling cider until smooth. For the apple pie filling, take a butter knife and while apples are still in the can, run the knife through to cut the pieces. Fold the apples and glaze into the ice cream mixture and stir until well mixed. Pour the ice cream mixture into the prepared pie crust and smooth out the top. 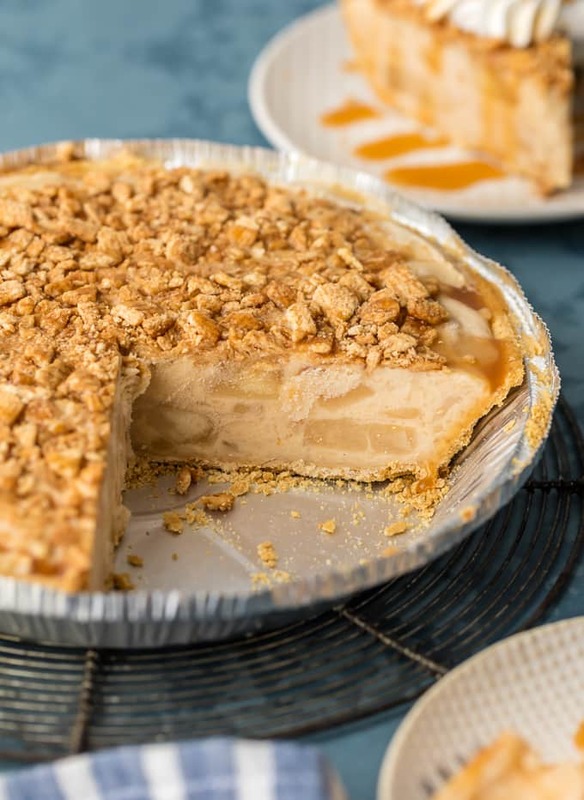 Pour the crushed cereal over the pie and lightly press down to make sure it adheres. Pour your desired amount of caramel syrup over the top. 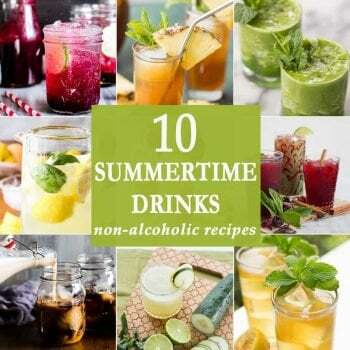 Freeze overnight or for a minimum or 6 hours. Top with whipped cream and more caramel. This post was written in partnership with Martinelli’s. As always, all opinions are 100% my own. Thanks so much for supporting the brands that help support The Cookie Rookie! I email someone asking them if I can guest post on their blog. You never want it to sound robotic. Also, be sure that you take the time to find the blog owners name and use it.